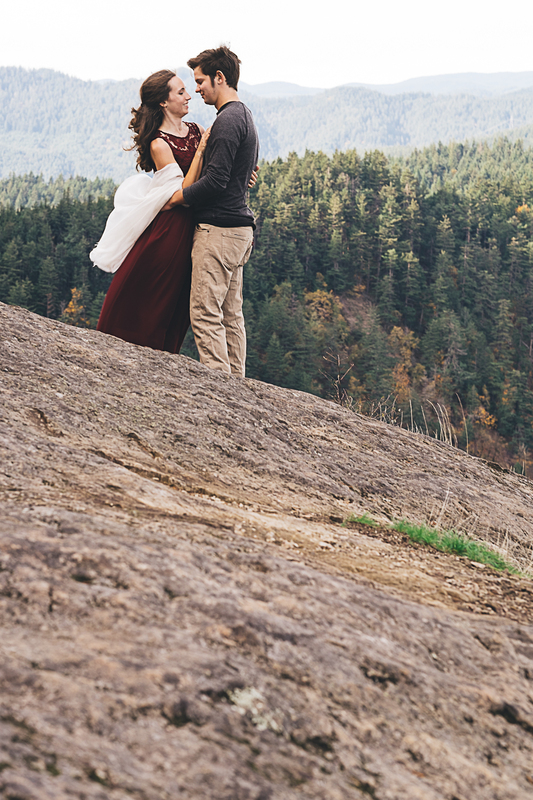 I looked to my left and right and for the millionth time thought how very lucky I am. 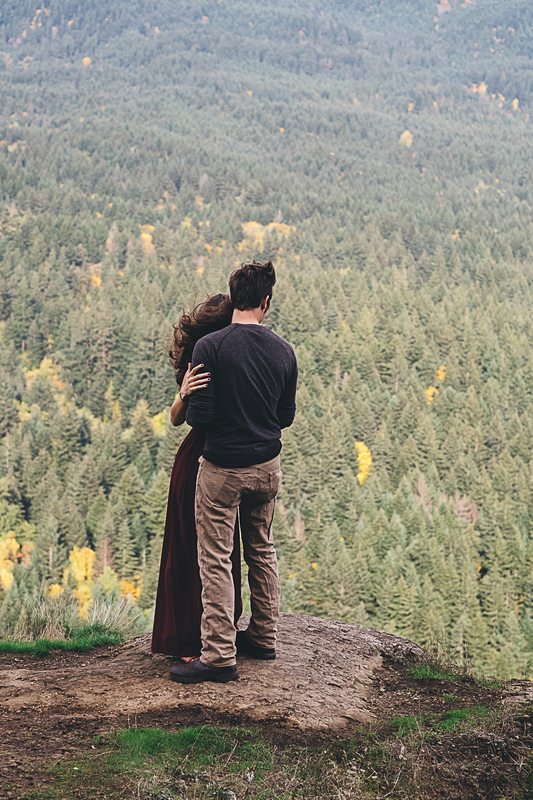 All around me was infinite natural beauty. 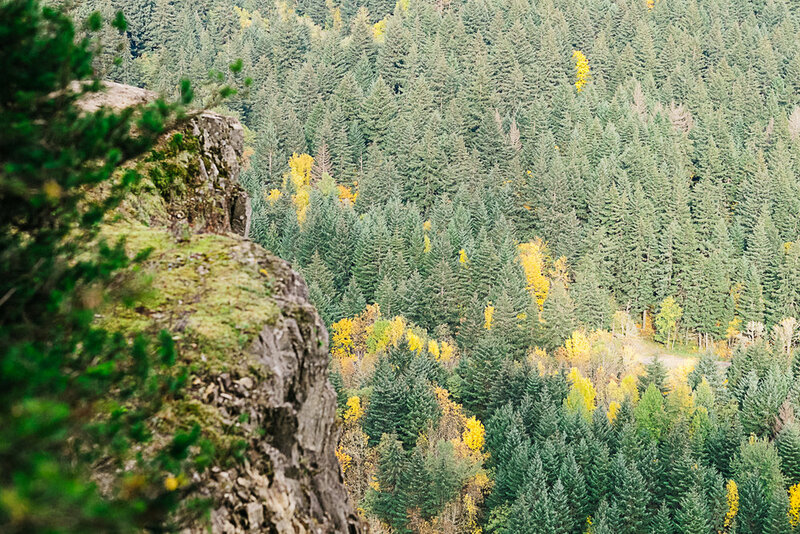 In one direction the forest green trees of the PNW appeared never ending and to the other direction the beauty of the Columbia River delighted me as it always does. 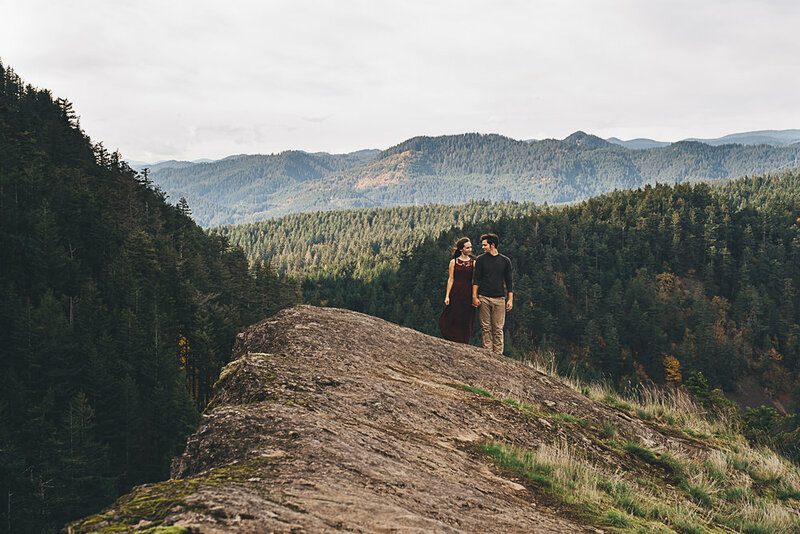 But the stand out of the day wasn't the picturesque Pacific Northwest vistas, it was the two awesome folks that I had hiked with to a spot that was in a literal sense off the path. 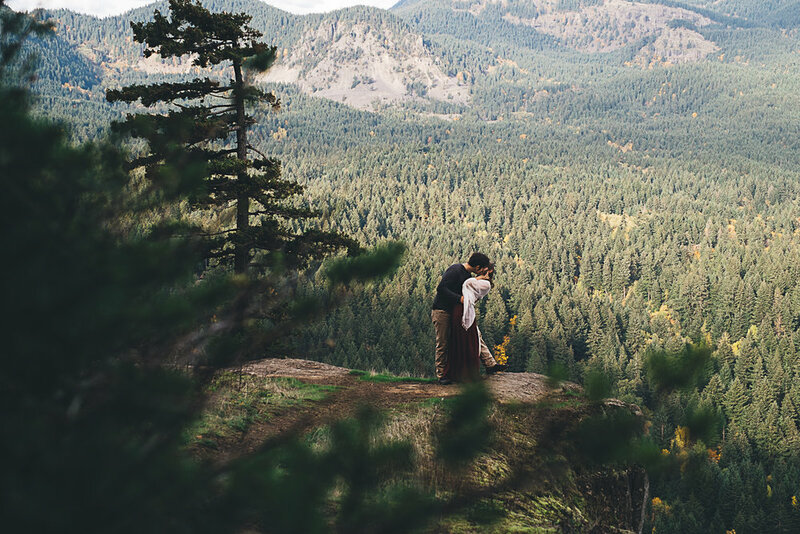 Megan and Conrad, on a beautiful fall day led me to this spot, just off a trail in Wind Mountain and told me about themselves and their engagement. 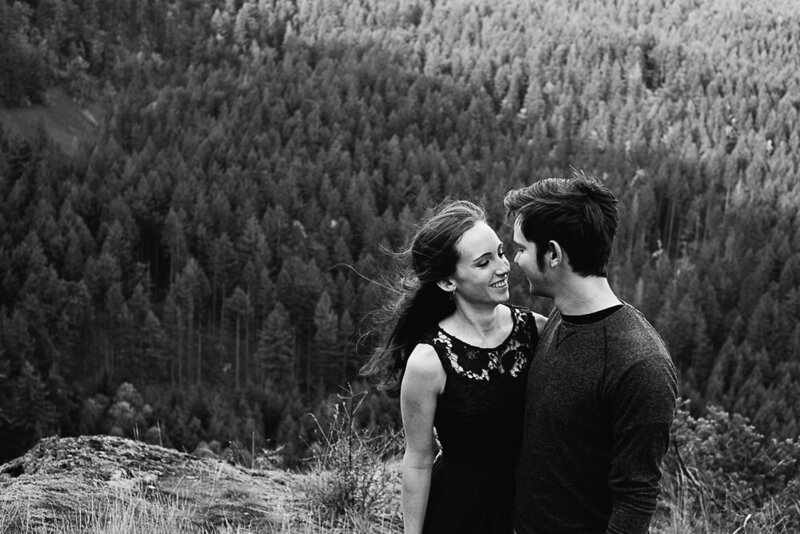 All the while I could see that the two were so beautifully in love. 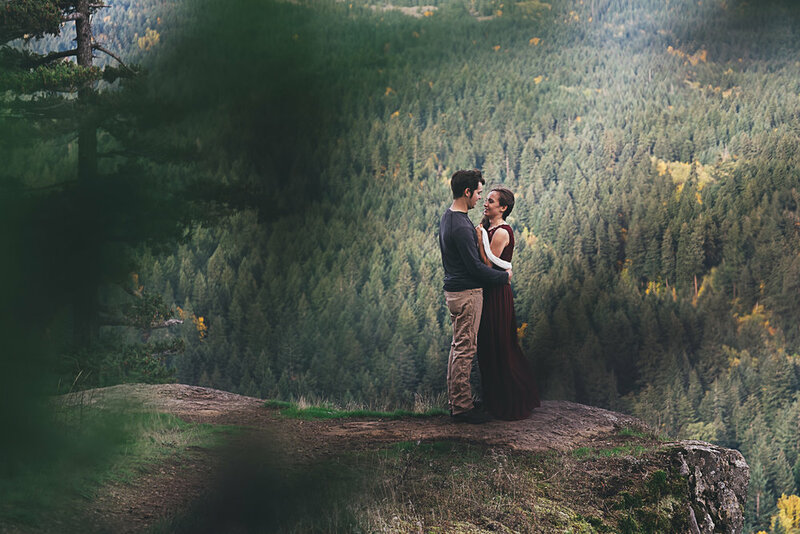 It was such a joy to document their engagement that I was reminded once more that photography is such an adventure, and a true joy. 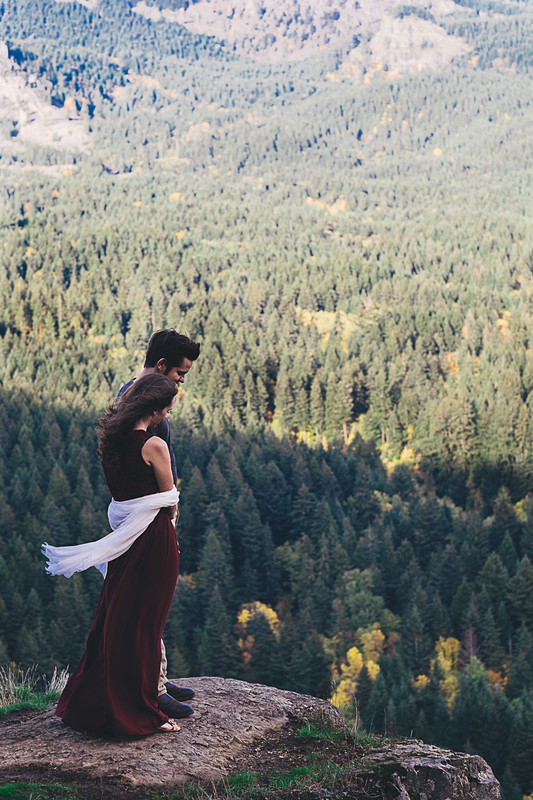 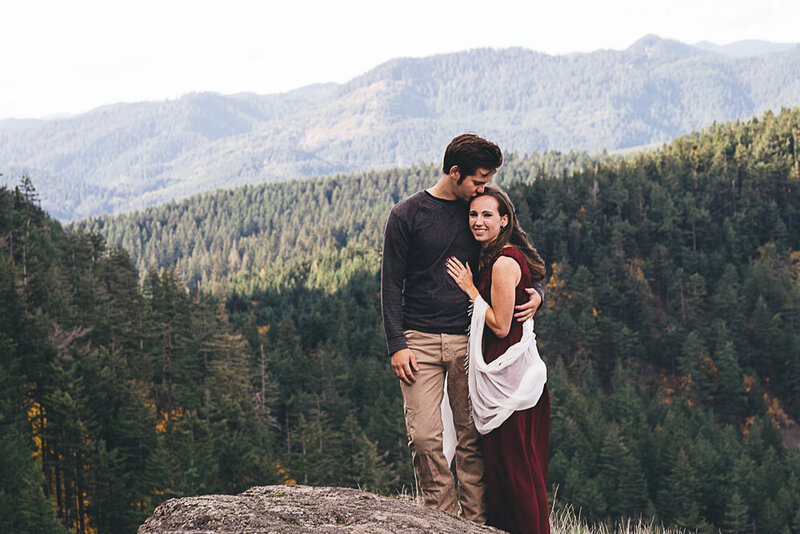 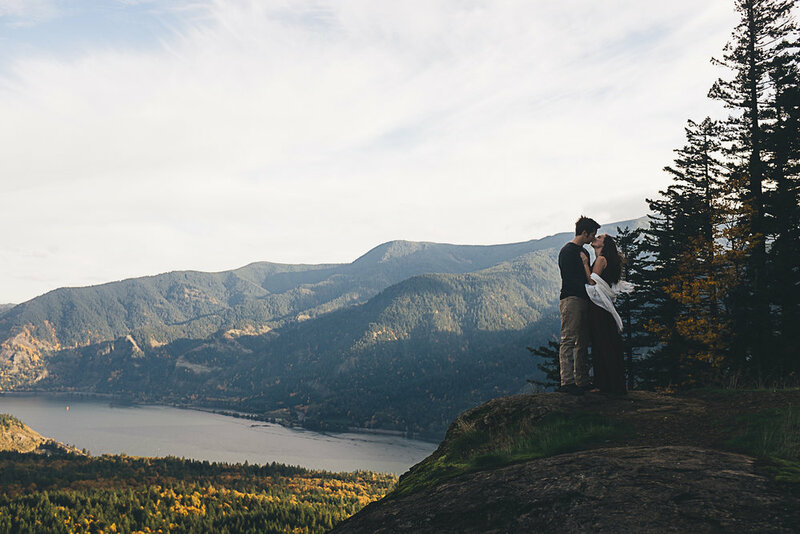 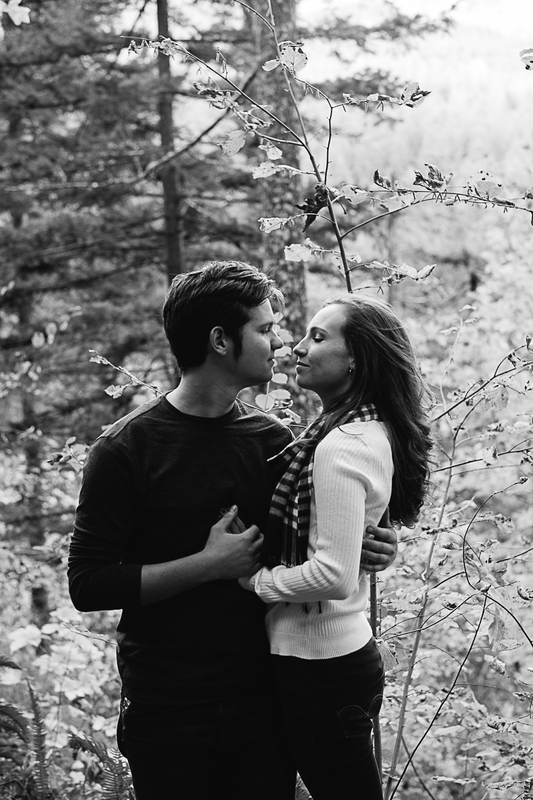 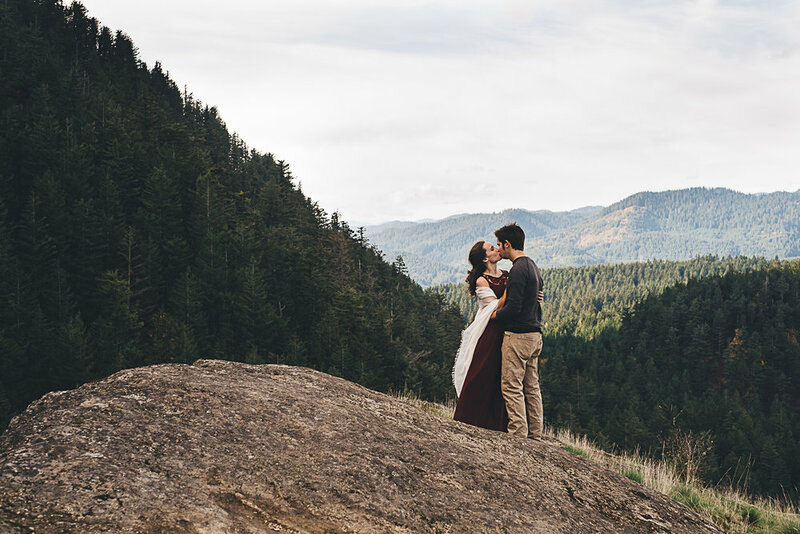 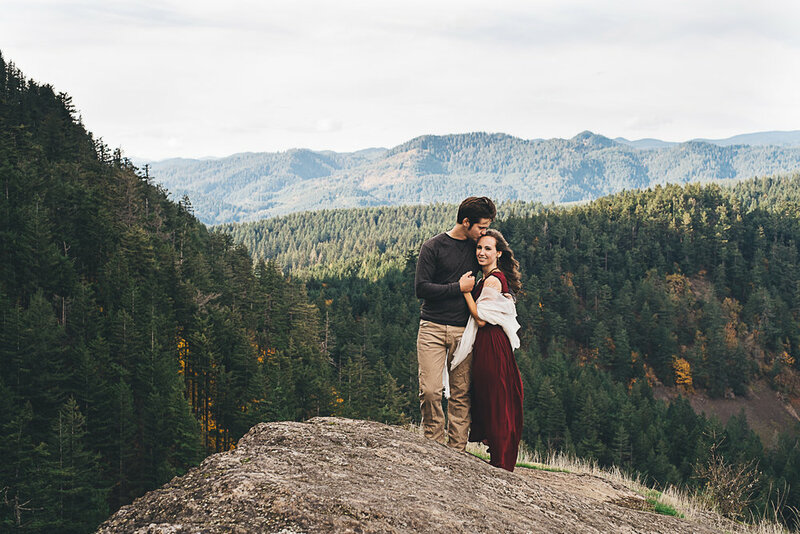 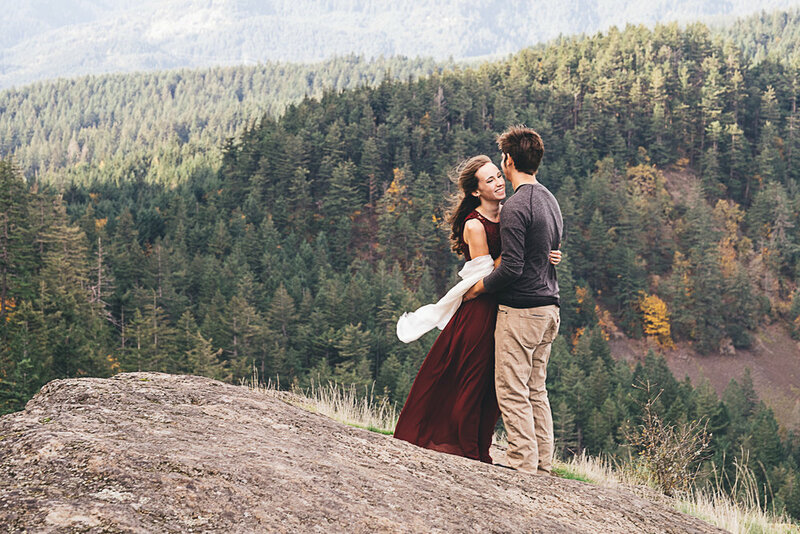 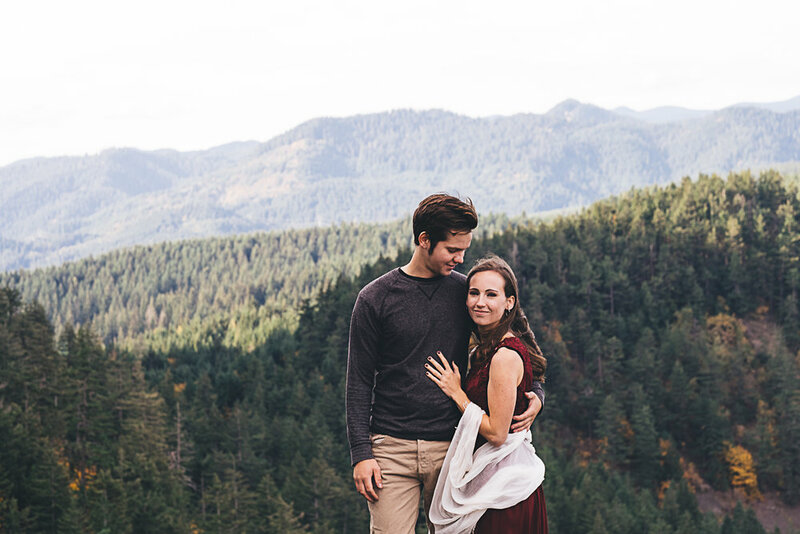 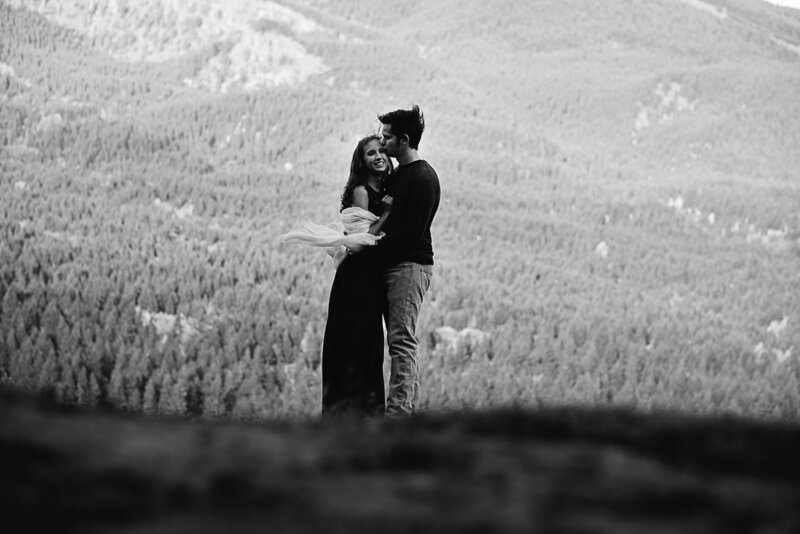 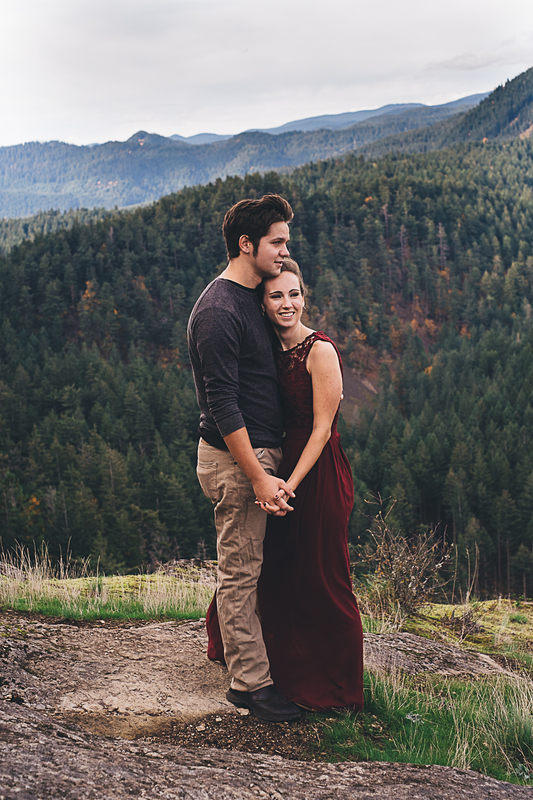 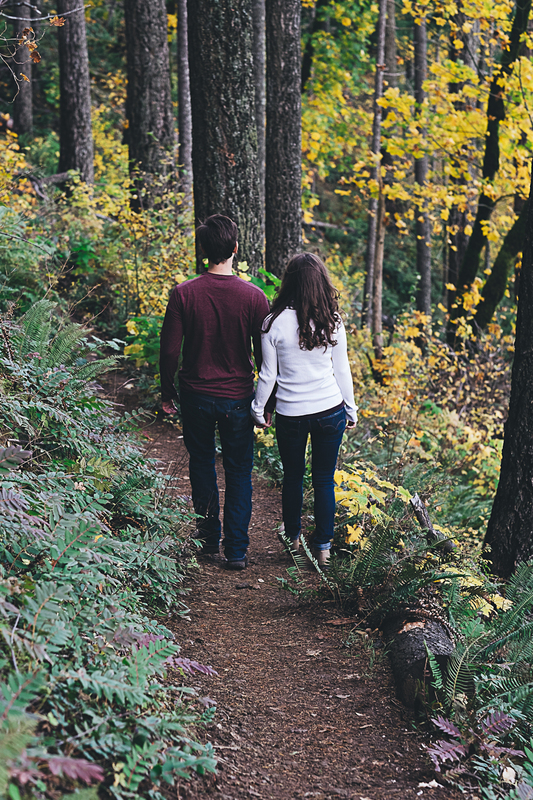 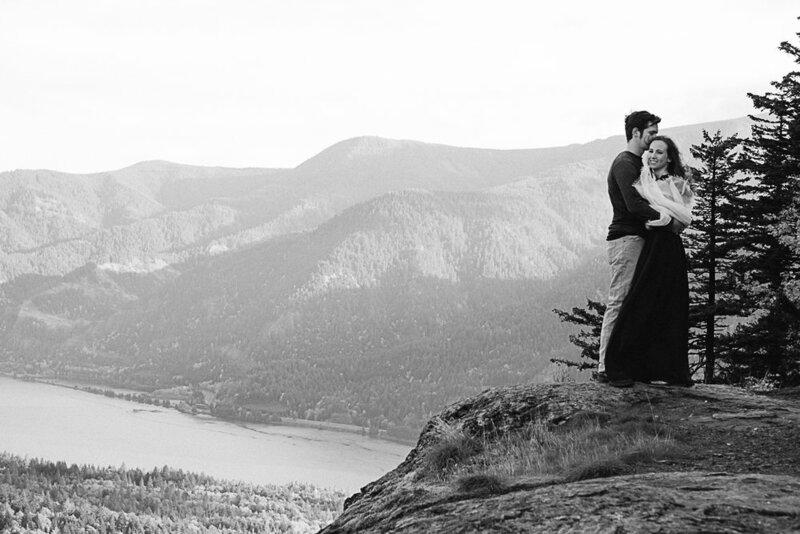 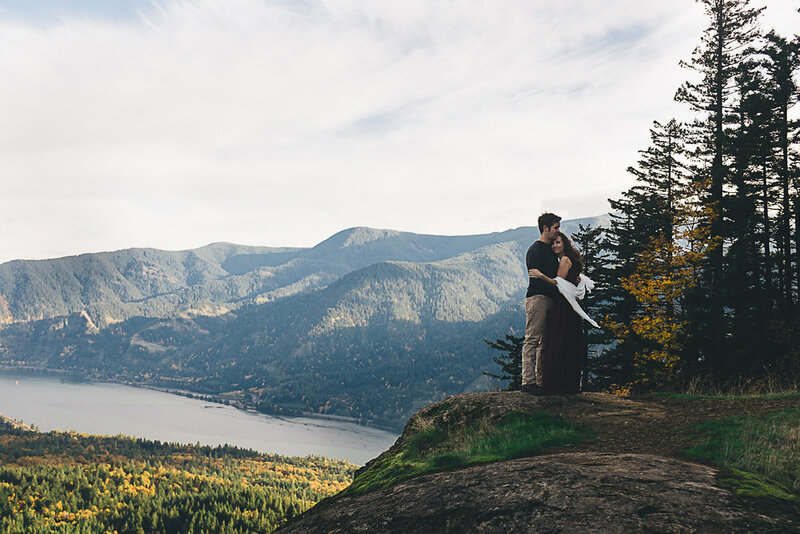 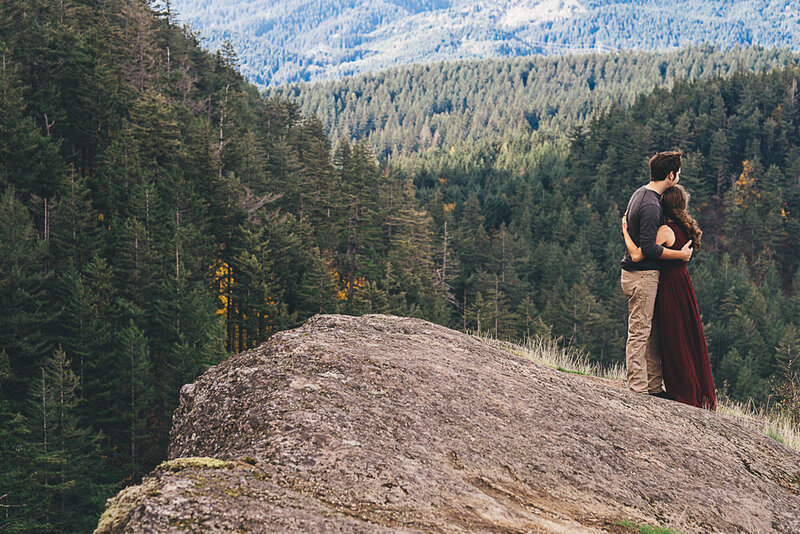 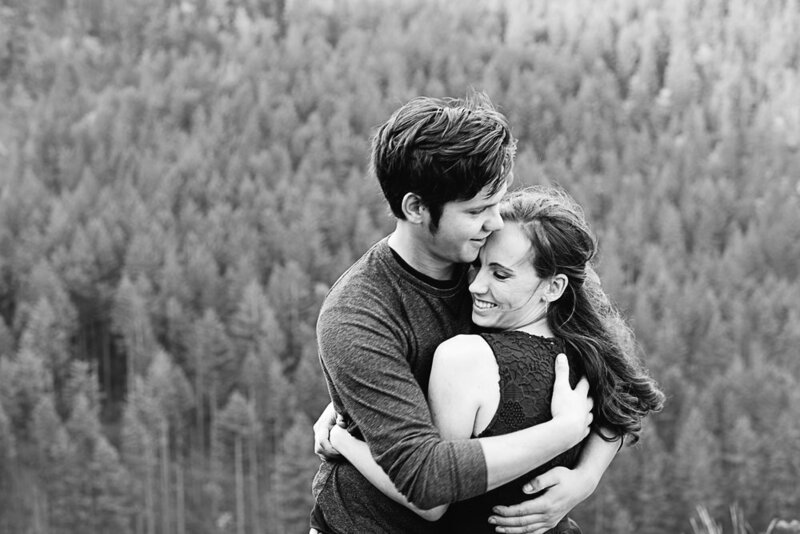 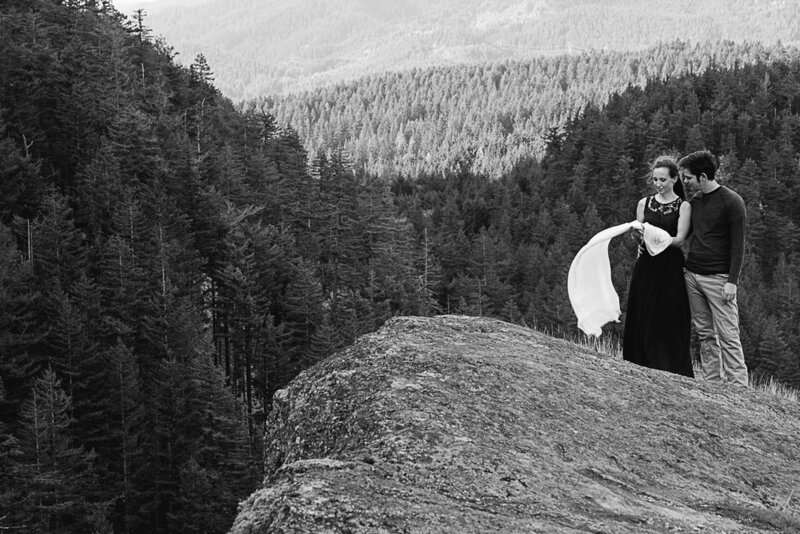 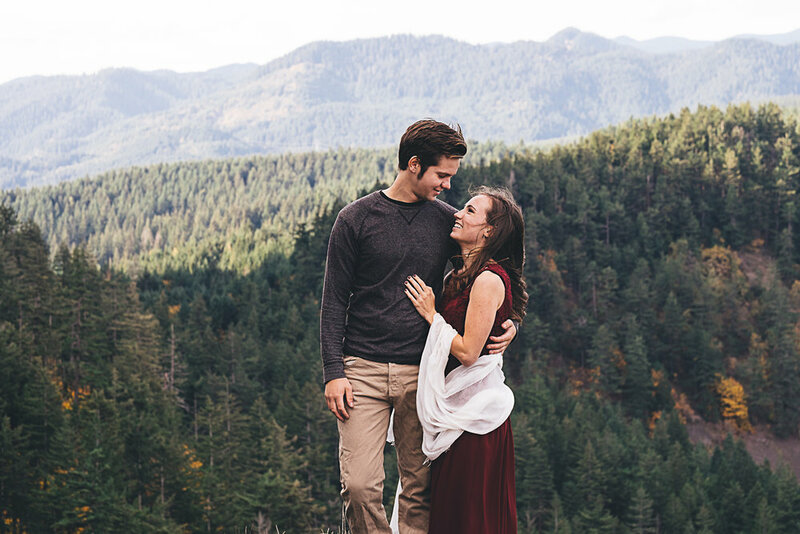 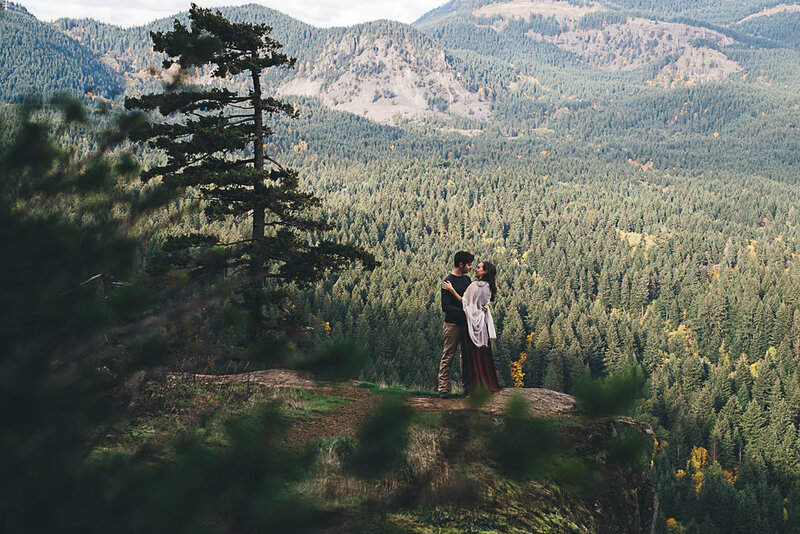 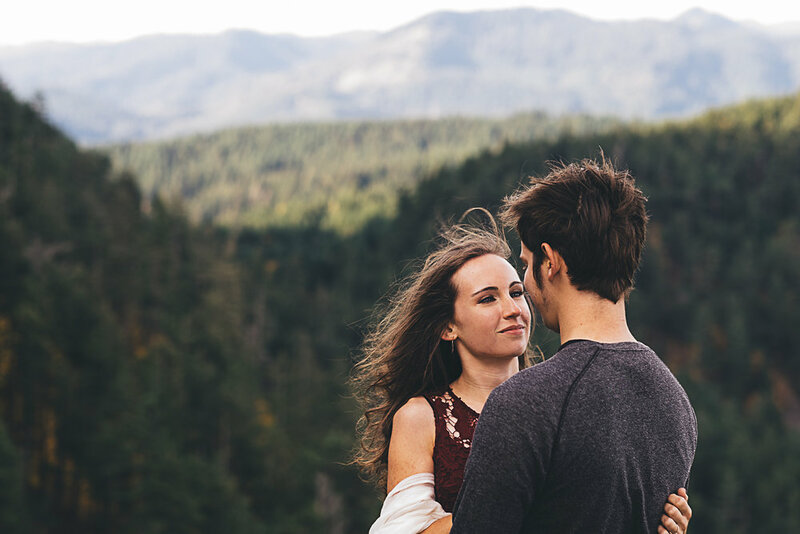 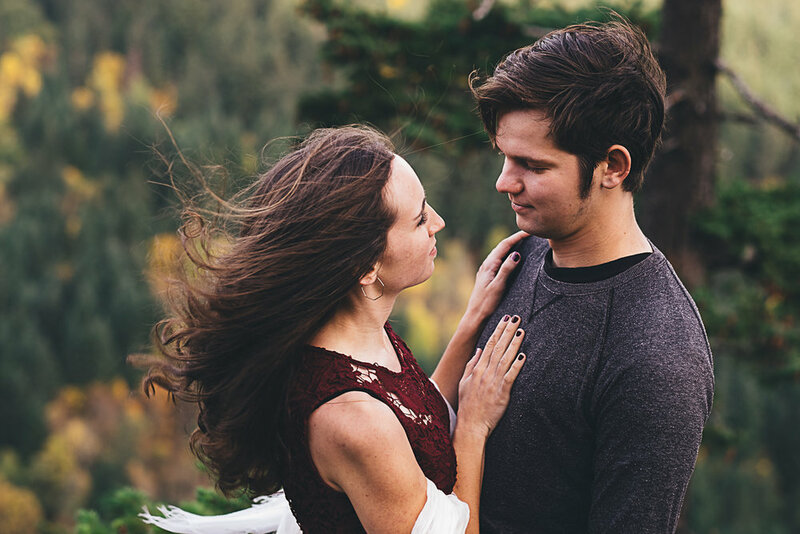 I hope you enjoy this Wind Mountain Columbia River Gorge Engagement Session!